Hanoi (VNA) – The fifth generation (5G) of mobile communications is forecast to be a pillar of the digital economy and Vietnam has been busy making preparations to become one of the first countries to develop its 5G network. Telecom companies and various national governments around the world consider 5G technology a prerequisite for them to accelerate in the field of wireless technology. At the recent ASEAN conference on 5G in Hanoi, Vietnamese Minister of Information and Communications Nguyen Manh Hung said 5G is the first technology specifically designed towards connecting things. If 2G, 3G, and 4G managed to connect 7 billion people around the globe, 5G will connect billions of devices and transfer the physical analogue world into the digital sphere, he said. Hung noted that 5G technology will create a connection revolution, boosting bandwidth capacity and speed for all devices, especially connections that require real-time response. It will foster fundamental changes in many industries like manufacturing, transport, healthcare, and agriculture, while facilitating innovation in almost all sectors. Sharing this view, many experts have noted that when 5G technology becomes commercialised, it will bring considerable benefits to all fields. It will promote the development of a range of new technologies such as artificial intelligence, Internet of Things, virtual reality, and blockchain. 5G technology will help optimise the activities of governmental agencies, enhance interaction between governments and citizens, and increase labour productivity in different industries. With high data transfer speeds and low latency, this technology will also help fuel the growth of the electronic wallet service of mobile money. Thieu Phuong Nam, General Director of Qualcomm Indochina, said Vietnam is one of the first countries to make plans for 5G application. Like many other nations, it faces the significant challenge when deploying a new technology of ensuring that the whole mobile ecosystem works well together, he said. The government, network operators, and device manufacturers must coordinate effectively in the deployment, he added. Le Van Thanh, senior technology consultant at Dell EMC Vietnam, said the country has certain advantages with its population of nearly 100 million and high usage rate of smart devices connected to the Internet compared to the global average. Additionally, the Government has also proactively issued policies facilitating the introduction of 5G technology, he noted. This year, the Ministry of Information and Communications has provided frequency bands for piloting 5G so as to commercialise it in 2020. If this is successful, Vietnam will be one of the first to deploy 5G in the world, Thanh said. However, he also pointed out some challenges, including that the number of 2G or 3G device users is high, so they will have to switch their devices when 5G is applied. Businesses will also encounter the same problem as their current IT infrastructure becomes outdated. 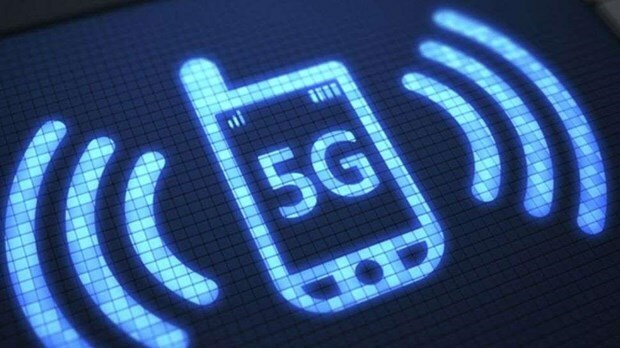 The three major mobile network operators of Vietnam – Viettel, VNPT, and MobiFone – affirmed that they have been ready for the trial deployment of 5G. All of them plan to deploy this technology on a large scale next year. Viettel said it set up a 5G research and development team in 2015 and is planning to produce equipment for 5G base stations. VNPT announced that it signed an agreement with Nokia to establish a research laboratory on 5G technology, solutions, and application. It is also preparing to produce 5G network devices so as to gradually master this field like it has done in the 2G, 3G, and 4G networks.